I was a successful candidate as a signature member of Artists For Conservation (AFC) - the worlds leading artist group supporting the environment. 500 artists worldwide from 30 countries. 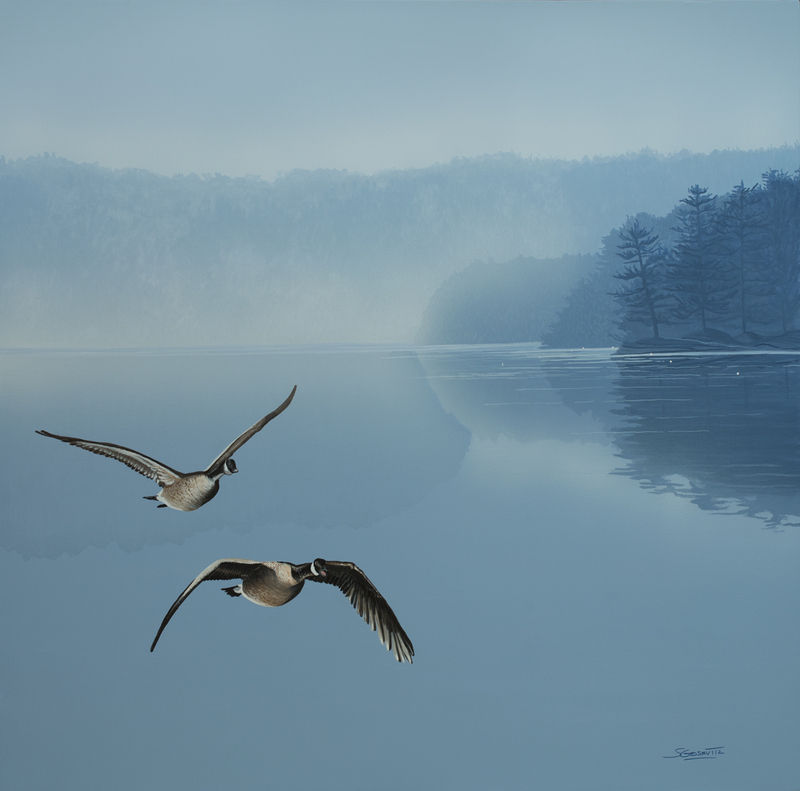 The above painting Canadian Geese, 36" x 36" acrylic on canvas 2018. 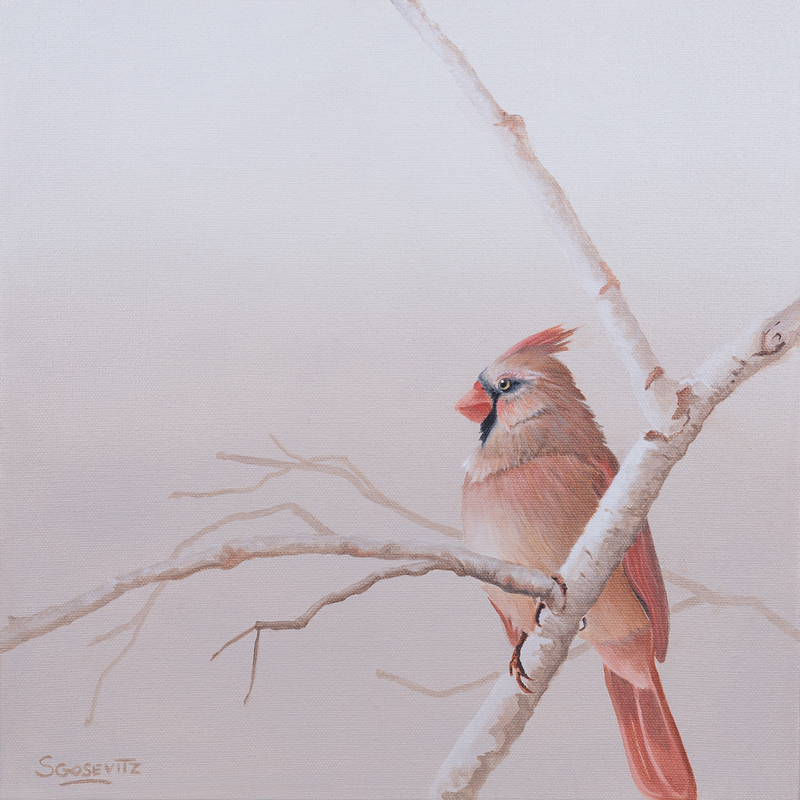 January 2018 I was successfully elected into the Ontario Society of Artists (OSA). 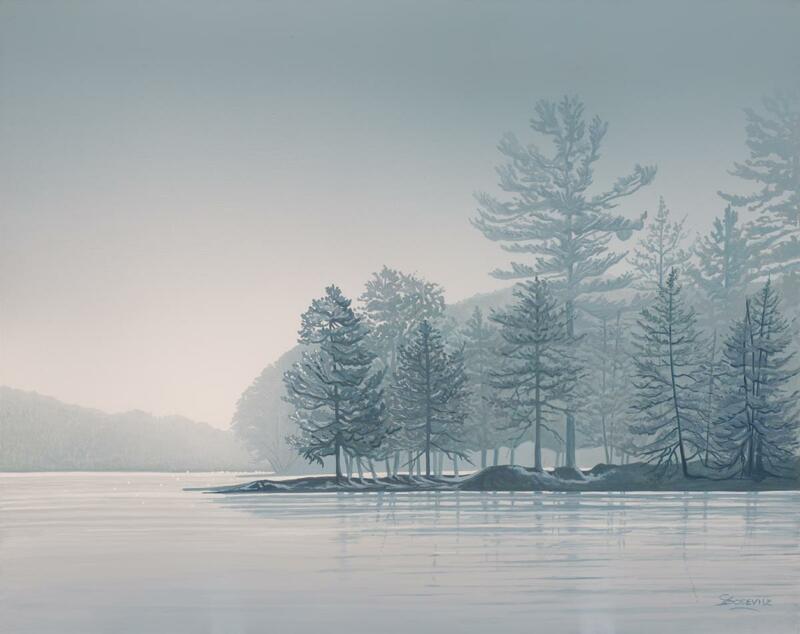 Founded in 1872, the Ontario Society of Artists is Canada's longest continuing art society. The above painting Serenity, 24" x 30" acrylic on board 2017. 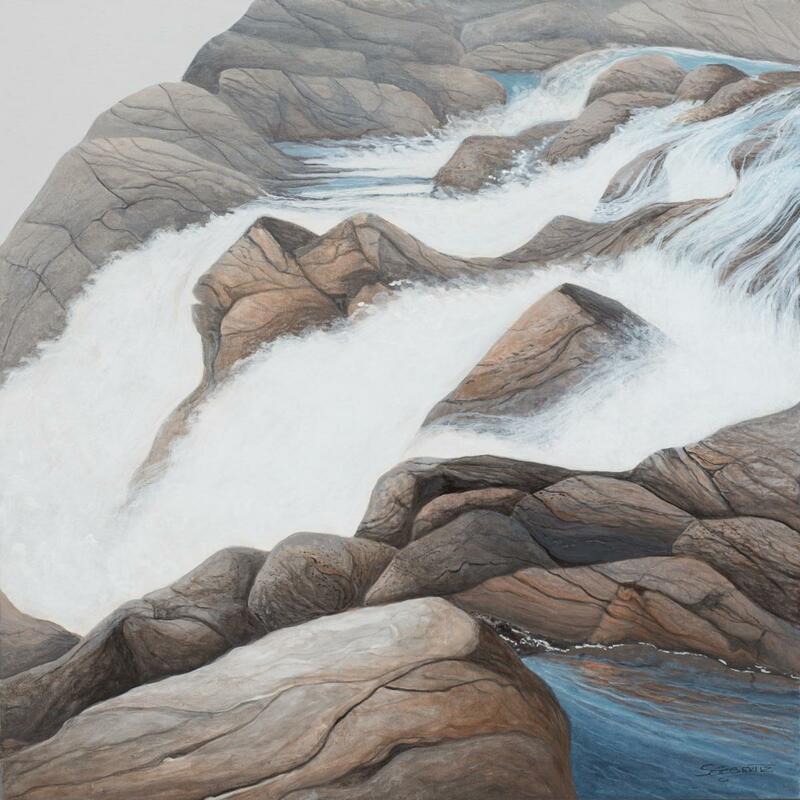 My painting "The Waterfall" 24" x 24" acrylic on canvas was the recipient of a Canadian of Society of Artists jurors' award of excellence, The George Saunders Memorial Award. 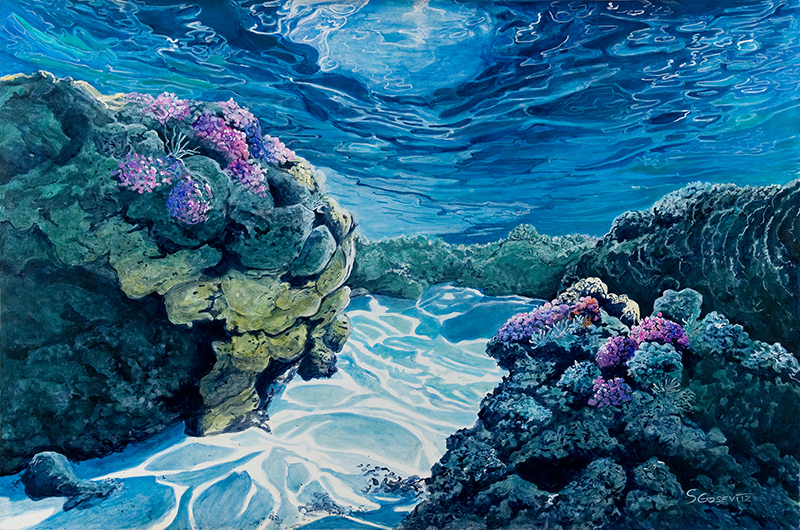 On the Reef by Shandley and Judith McMurray was created by Robert Bateman and my artist group The Tobin Island Artists. This childrens' book brought conservation awareness to the problem of plastics in our oceans.This story was about a hawksbill turtle that got entagled in plastic and was successfully rescued. Above is a reef painting I painted for this book. Proceeds were donated to The Bateman Foundation and the Canadian Wildlife Foundation. Under Your Nose by Shandley and Judith McMurray created by Robert Bateman and my artist group The Tobin Island Artists, encourages children to explore nature and put down their electronic gadgets and tablets.Nature is just waiting at your doorstep as the children in this book discovered while vacationing at their grandparent's cottage. Proceeds from this book were donated to The Bateman Foundation and the Canadian Wildlife Foundation. 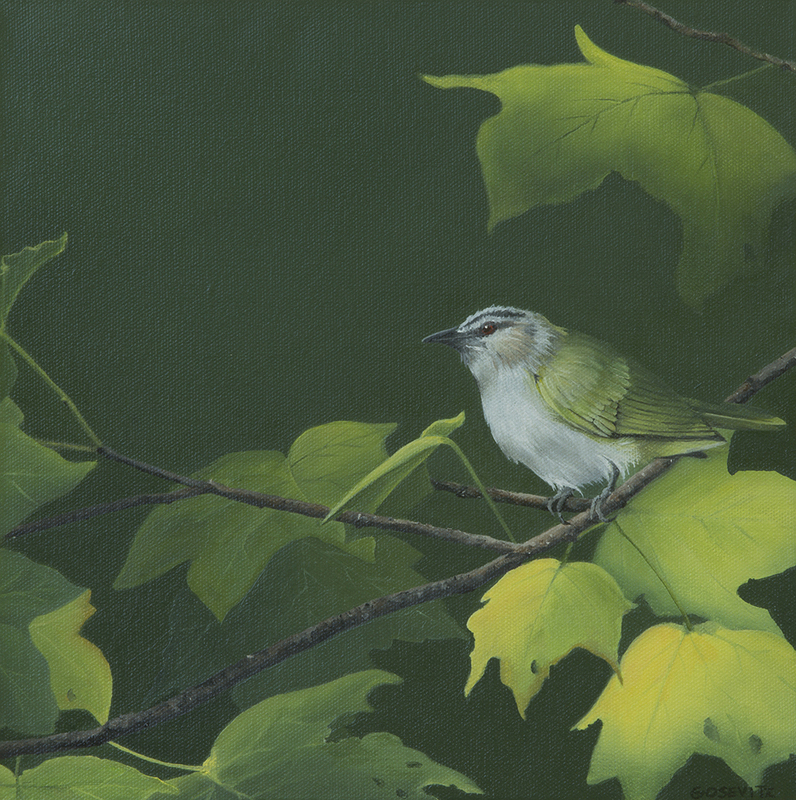 The above painting Red-Eyed Vireo, 12" x 12" oil on canvas 2015. Myself along with my artists group, "The Tobin Island Artists" were the recipients of the Robert Bateman Award for outstanding contribution to conservation awareness through artistic expression. This award was given at a gala event by the Canadian Wildlife Federation at the National Gallery in Ottawa, Ontario, Canada. 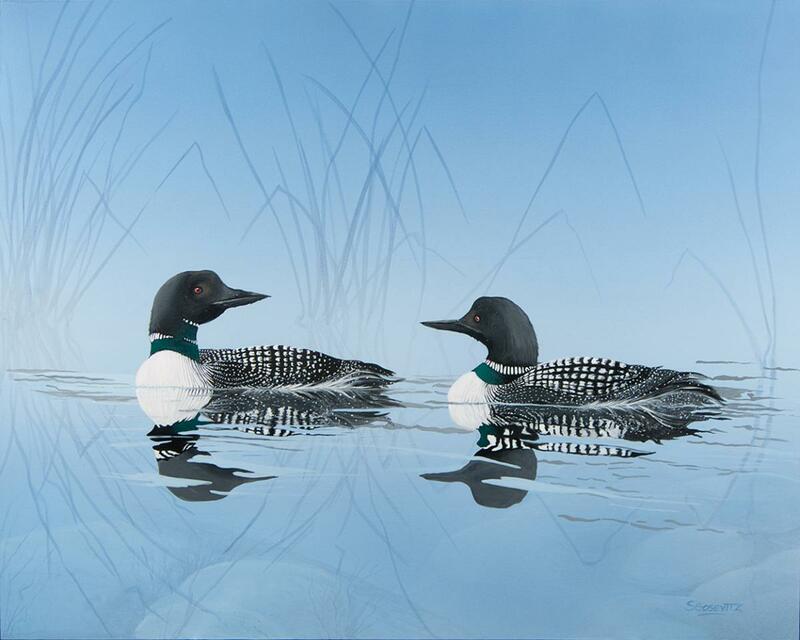 "Larry the Loon" by Judith McMurray was the second children's book published by my artist group, The Tobin Island Artists. This is a true story of an injured loon found in our bay at our Muskoka cottage. This book taught conservation awareness in regards to careless boating harming loons and disrupting the shorline and destroying their nests. 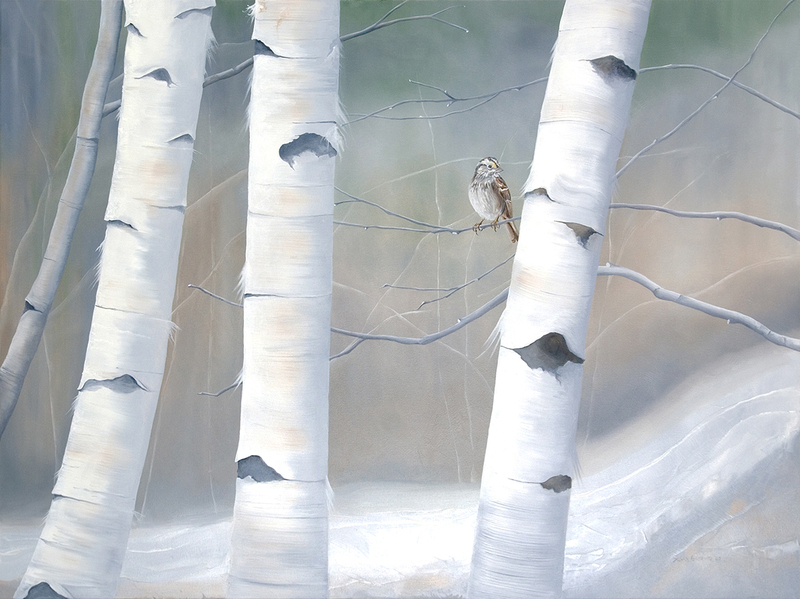 Robert Bateman provided the foreward and conservation message in this amazing tale. Original fine art created for this book. Proceeds were donated to The Bateman Foundation and the Canadian Wildlife Foundation. 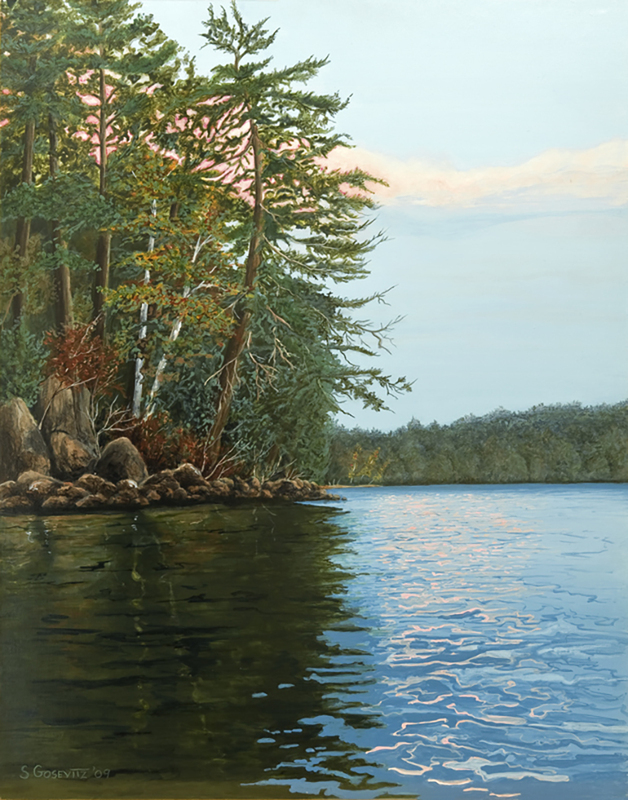 I was elected into the Society of Canadian Artists (SCA), a juried process.I received this award at The Arts and Letters Club in Toronto, Ontario, Canada. I have exhibited with SCA from 2010 - present. I attended The Toronto School of Art and completed their Fine Art Diploma Programme. 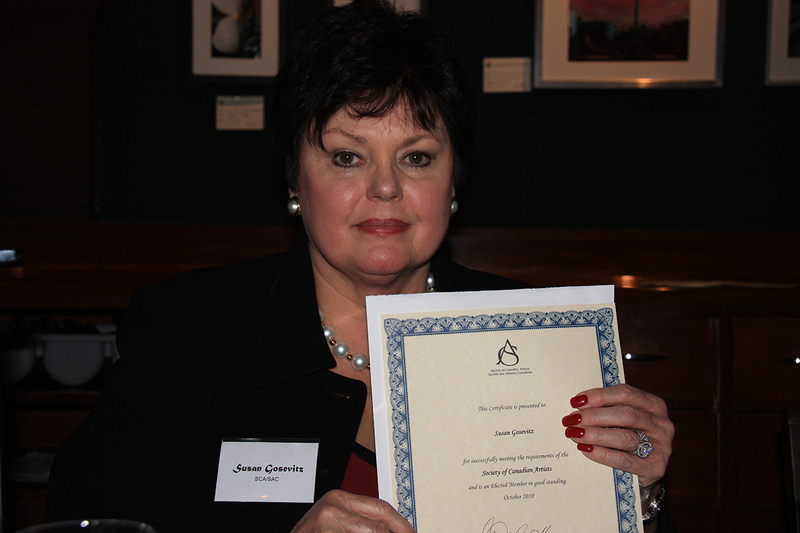 I was the recipient of The Edie Yolles Award for excellence in painting in my graduating year. It was the top painting award to a graduating student. 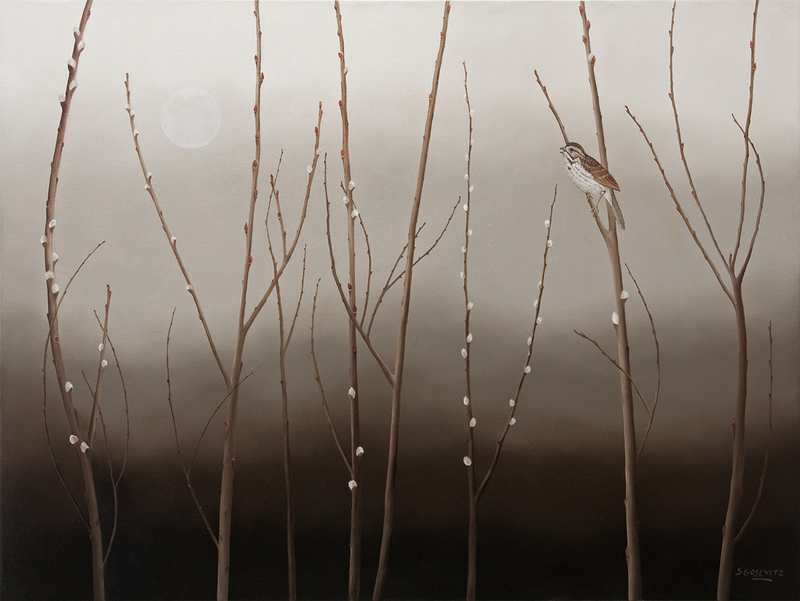 In 2009 I completed my Fine Arts Dipolma at the Toronto School of Art. A 3 year programme including academic and foundation arts studies. The teachers and staff are all practising professional artists. My artwork together with The Tobin Island Artists created this enchanting childrens' book that told the story of the Inukshuks that guided the way to safety in Northern Ontario.A thrilling adventure of lost children on the lake.Proceeds from this book was donated to the Juvenile Diabetes Research Foundation.